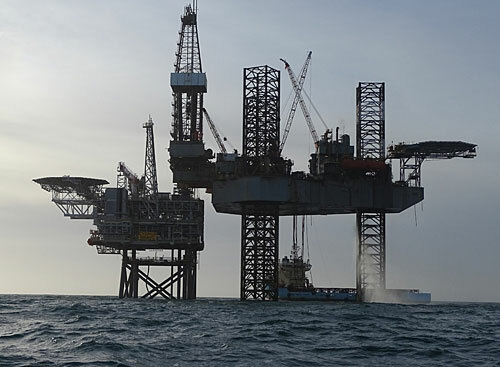 First gas has been exported from Cygnus Bravo, the satellite wellhead platform in the Southern North Sea’s Cygnus development, operated by ENGIE E&P UK Limited. On the morning of Tuesday 1st August first gas from Bravo was exported 7 km SE to Cygnus Alpha, which itself has been at a plateau of 250 million cubic feet per day since 13 December 2016. Combined output then travels from the Alpha processing unit, 150 km off the coast of Lincolnshire, via a 55-km link to the Esmond Transmission System – which ultimately lands at the Bacton gas terminal in Norfolk. The overall Cygnus complex comprises four platforms and two subsea structures, serving an estimated field size of 250 square kilometres. It contributes 5% of UK gas production; sufficient to heat the equivalent of 1.5 million UK homes. “Gas from this second drill centre will contribute significantly to extending the plateau production that Cygnus Alpha has been achieving for the last eight months,” she adds. Bravo first gas was delivered from well B5 in one of the platform’s 10 well slots, out of 20 across the whole Cygnus complex. A further three Bravo wells are expected to come online during August with a total of five available in 2018, after drilling of well B1 is completed. Over 80% of the contract work during Cygnus construction was secured by British businesses, supporting more than 5000 jobs at peak. Cygnus represents a significant boost to the UK’s long term energy security, with an estimated 2P (proved and probable) reserves of 110 mmboe (million barrels of oil equivalent) and an anticipated production life exceeding 20 years. In addition to output from the complex itself, the partners are evaluating further opportunities in the Greater Cygnus area with the aim of bringing additional volumes through Cygnus when capacity becomes available. Equity interests are operator ENGIE E&P UK Limited (38.75%) and partners Centrica (48.75%) and Bayerngas (12.5%).